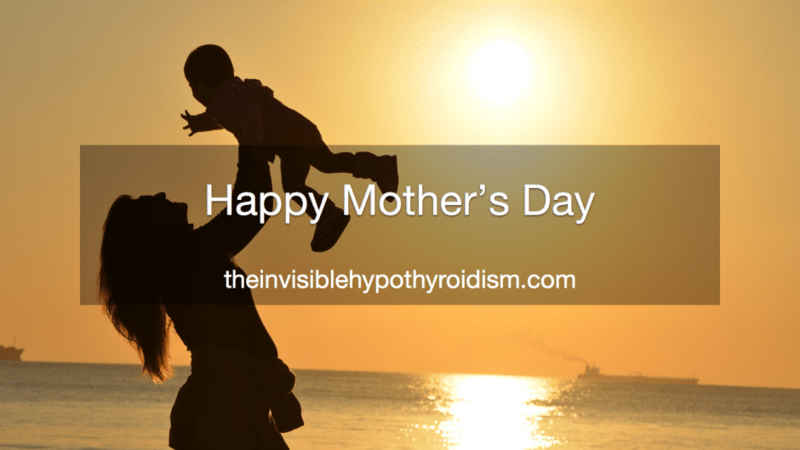 It’s Mother’s Day here in the UK and being a mum with thyroid disease can make parenting even more of a challenge. Many mums battle on with hypothyroidism which can make them even more exhausted, stressed and struggle mentally as well as physically. And I believe this should be recognised. I’m not yet a mother, but I do worry about that day sometimes, because I know it will be extra difficult now that I’m battling several health conditions; chronic, lifelong ones at that. I bow down to anyone who is able to run a family and bring up children as well as live with thyroid disease. Thyroid disease alone is hard enough some days, the fatigue, pain, brain fog etc. so having the responsibility and being needed in extra ways seems impossible to me. 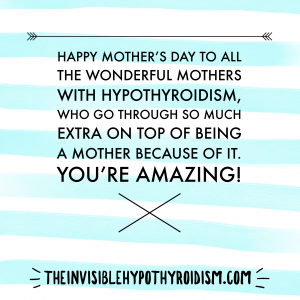 A special Happy Mother’s Day to all mother’s with hypothyroidism. You’re amazing. Previous What Did Hypothyroidism Do to You?